Elizabeth Becka Lansky, currently writing under the pseudonym Lisa Black, has also written under her maiden name, Elizabeth Becka and under the pseudonym Beth Cheylan. Elizabeth Becka's book Defensive Wounds was available from LibraryThing Early Reviewers. Elizabeth Becka's book Takeover was available from LibraryThing Early Reviewers. 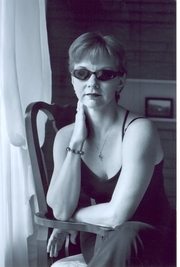 Elizabeth Becka is currently considered a "single author." If one or more works are by a distinct, homonymous authors, go ahead and split the author. Elizabeth Becka is composed of 2 names. You can examine and separate out names.